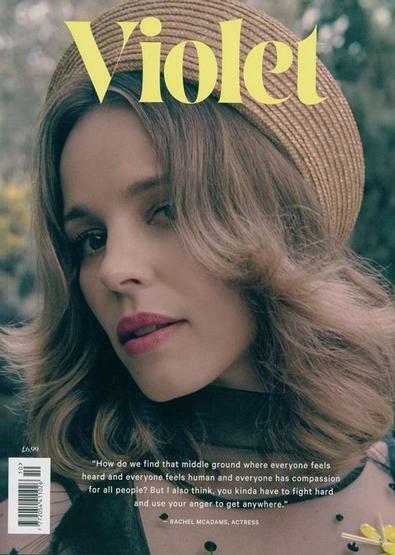 Violet magazine isn’t just a fashion magazine. It’s a place to discover and grow, to learn from and to celebrate each other. The writing will be an on-going dialogue between iconic women and notables of fashion, cinema and art. The quality of the writing and imagery will allow for a unique engagement with its readership of established professional women. Violet, a natural progression for Leith Clark’s team, celebrates women, their curiosity, femininity, and style. Uniting internationally established women in the fashion and creative communities, Violet magazine invites the most talented and highly sought-after female photographers, stylists, editors, artists and writers in the world to collaborate and make each issue of Violet a landmark. Be the first person to tell us what you think about Violet and you'll save $5 on your next purchase!